Fun fact: Indiana Jones and the Temple of Doom was the first movie I "camped" for. I actually ditched school for it. Of course the bus got me half way to the theater, so I took it. But then I detoured to the theater and sat there all day with a group of strangers, it was fun. 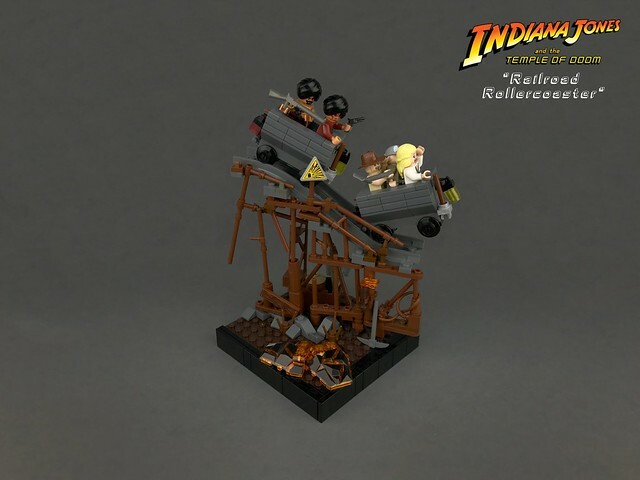 While I had mixed feelings on the movie, the Mine Car chase is still one of my favorite scenes, so this MOC by builder BrickBuilder7622 caught my eye. Click through for a whole collection of excellent little vignettes from Temple of Doom and Raiders.